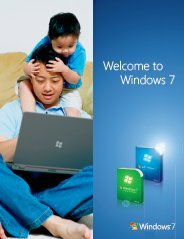 About Windows 7 Enterprise Edition Installation, Configuration, Troubleshooting, Upgrade, Features, Softwares and System Hardware Requirements. Problems, Issues, Errors, Tips, Articles, Reviews, How-to, Help and Support. Windows 7 Enterprise is the only version of Windows 7 that is available for use by corporate organizations only. This version is not available in retail or OEM versions. This is also the only version of Windows 7 that can be activated without an internet connection, using Volume License Keys (VLK) obtained from Microsoft. In order to get the edition, the interested organization must first enter into a Software Assurance agreement with Microsoft. The Enterprise edition is built for business operations, and as such supports several features, which can be indispensable for corporate organizations, but almost useless for individual users. AppLocker to let IT pros control what applications users can run: It provides simple, powerful, rule-based structures for specifying which applications can run that are centrally managed using Group Policy. BitLocker Drive Encryption (BDE): This option allows you to encrypt contents of any drive, thus ensuring maximum security against hackers, malware and viruses. The encryption tool can also be exported from a PC running Enterprise edition to an USB drive, via the feature BitLocker to Go. BranchCache for faster file access: BranchCache in Windows 7 helps increase the network responsiveness of applications, giving users in remote offices an experience more like working in the head office. DirectAccess to keep mobile users connected on the go: When your Network Administrator enables DirectAccess, the corporate networks file shares, intranet websites, and line-of-business applications remain accessible wherever you have Internet accesswithout the need to VPN. Multilingual User Interface (MUI): The Enterprise edition includes support for MUI, which allows you to choose from a list of languages, in which you want your user interfaces to be shown. This is particularly useful if you have employees of different nationalities working in your organization, or have business operations in multiple countries. Virtual desktop infrastructure (VDI) optimizations: The volume license for Enterprise edition includes permission for running multiple virtual machines at any terminal running this edition of Windows 7. UNIX application support: The Windows 7 Enterprise edition allows running of applications developed for UNIX in Windows platform. This allows for running of security and application software tools and utilities that were originally developed for the UNIX platform. Win 7 Enterprise edition has lots of useful features that system administrators can use in order to tweak their security settings to the last detail. From booting hard disks using a virtual terminal to maintaining a full fledged subsystem for running UNIX applications, the security customization options of this edition give more power to system administrators than ever before. What do you think about Windows 7 Enterprise? Do you have any Windows 7 Enterprise experiences, ideas, article, story, opinions, errors, problems and tips which you would like to share? Why not take a few moments and Share it with everyone! Return from Windows 7 Enterprise page to Windows 7 versions page.